Black Friday has officially become the biggest shopping day of the year and now surpasses the sales generated from the Boxing Day Sales. Black Friday sales this year are expected to see some retailers offering price cuts of up to 90% off some high ticket value items. British shoppers are predicted to go into a shopping frenzy as they attempt to bag deep discounts and stock up with early Christmas gifts. Black Friday this year falls on 27th November and it’s reported that internet sales are expected to surpass £1b for the first time in history. LoveSales predict they will see some of the Best Black Friday Sales in 2015 with Cyber Monday being extremely busy too. So what were the most popular Retailers on Black Friday in 2014? 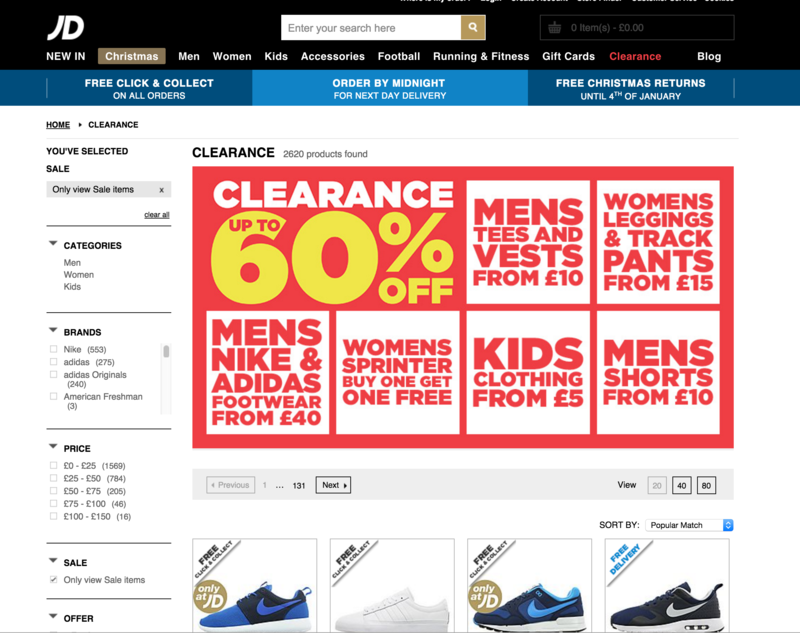 JD Sports was the most popular site for LoveSales users in the Black Friday Sales last year. Indeed our users enjoyed saving one heck of a lot of money on sportswear, trainers and replica shirts. 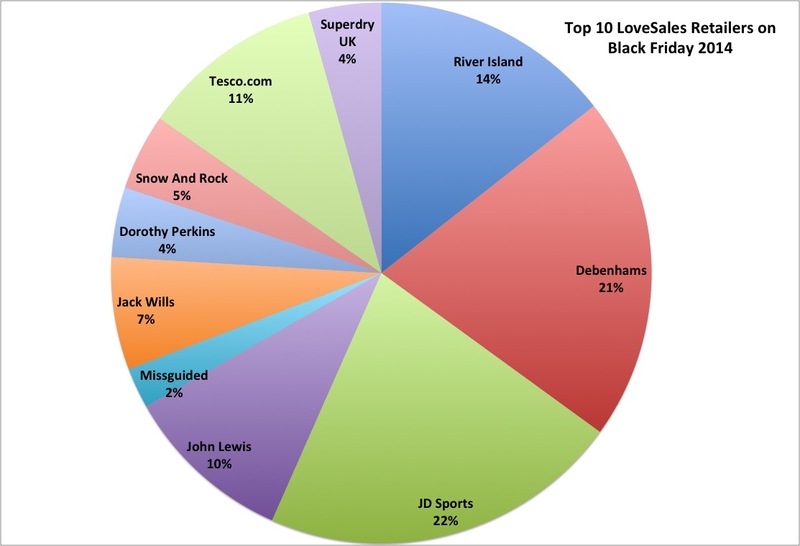 We predict that JD Sports will be very popular amongst our LoveSales savvy shoppers in the Black Friday Best Sales 2015. 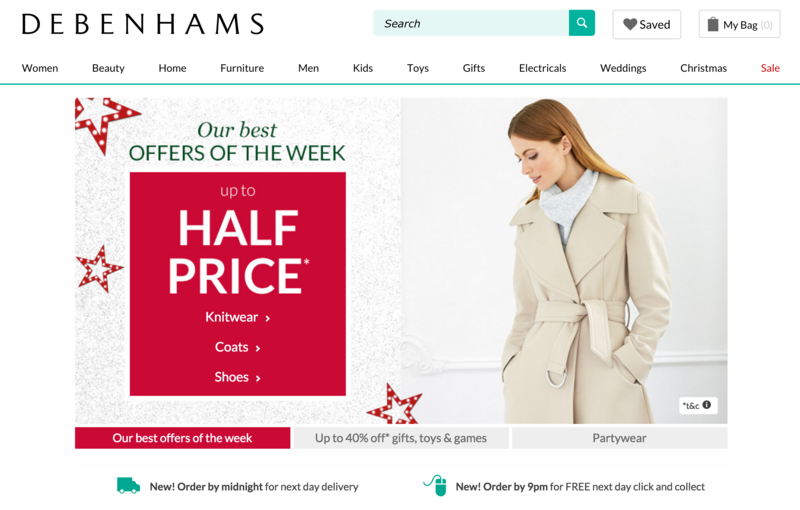 Debenhams was the second most popular site with LoveSales users in the Black Friday Sales last year. Deep Black Friday discounts on fashion, homewares and electrical items were seen last year. We predict that Debenhams will again roll out some tasty Black Friday Sales in 2015. We suggest dropping in some of your favourite items from Debenhams into your LoveSales watchlist and waiting for the discounts to be emailed to you on Black Friday. River Island regularly has sales activity, daily deals and exclusives online and it appears that Black Friday last year was no exception. Yes this extremely popular retailer was the third most shopped site on Black Friday in 2014. Users were no doubt enjoying some spectacular deals on the most popular shoes, handbags and accessories. As a favourite retailer with the LoveSales team we hope that users can enjoy some deep deals on the biggest shopping day of 2015. 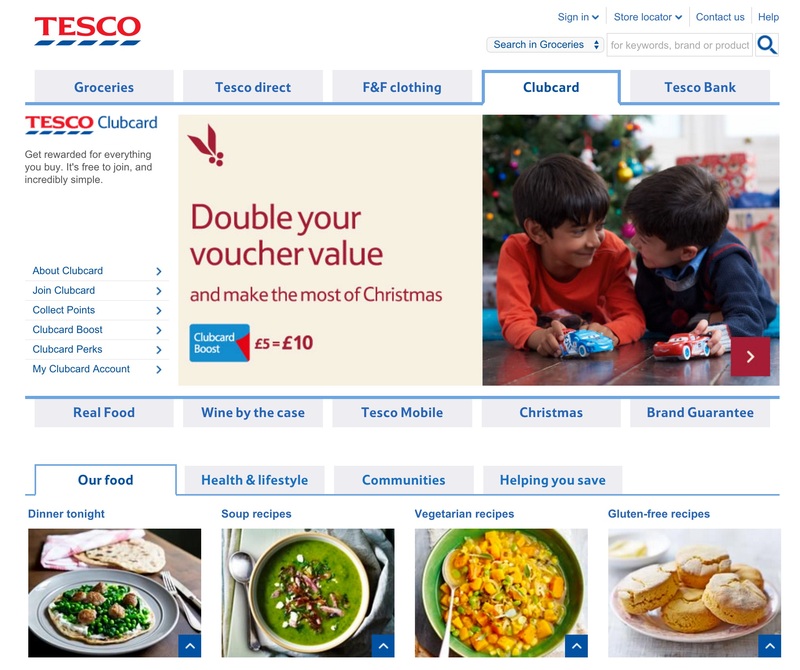 It will come as no surprise to most that Tesco.com was in the Top 5 retailers visited by LoveSales users on Black Friday last year. The UK’s top retailer clearly maxed up the online discounts across electricals, toys and homeware. Our team recommend definitely tracking this retailer to enjoy some deep Black Friday Sales and potentially some of the best Black Friday Sales of 2015. 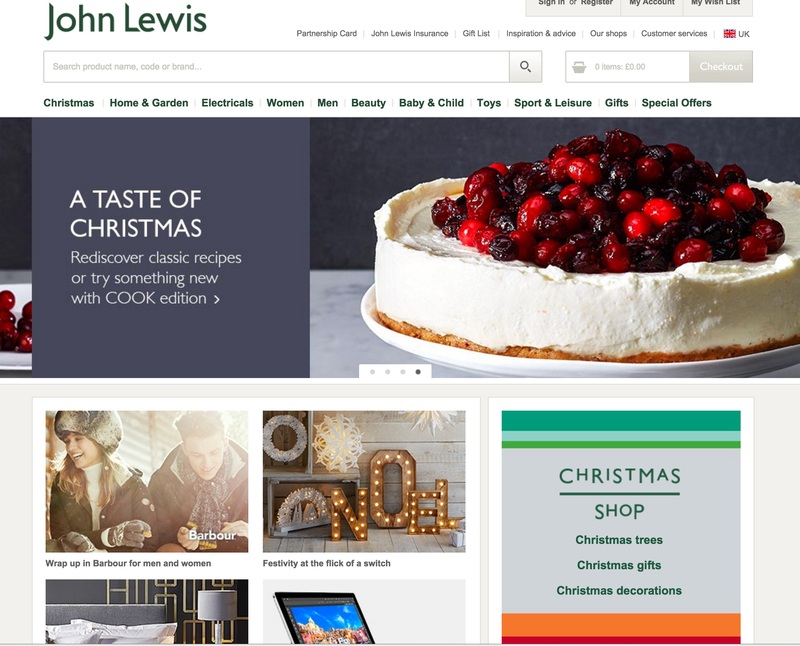 It will come as no surprise to our loyal users that John Lewis was extremely popular on Black Friday last year. John Lewis is often featured on our site with a wide array of breathtaking recommended product deals on quality homewares, furniture, electricals and clothing. The retailer will no doubt this year have some very tasty Black Friday offers that will see our users very happy customers on homewares and electricals. We would definitely take a look at our site on black Friday to peruse some hotly anticipated Black Friday deals. 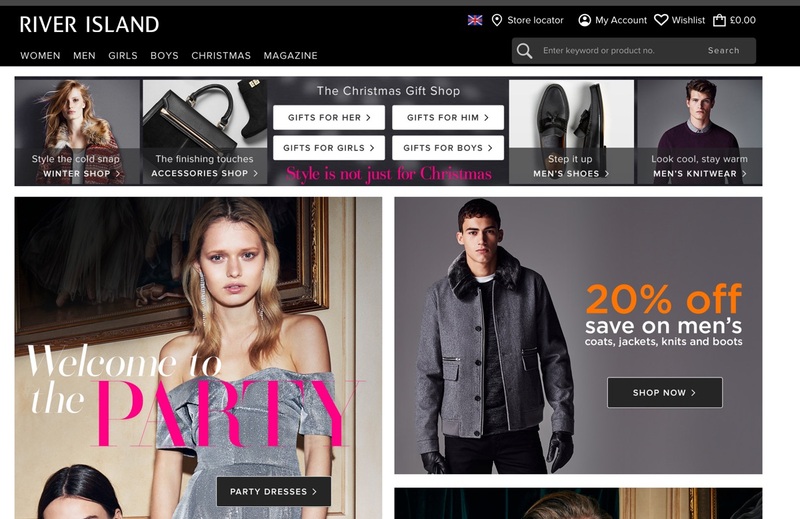 Other online retailers that featured amongst the most popular top 10 shopped sites on LoveSales on Black Friday last year were Jack Wills, the archetypal British clothing retailer, Snow & Rock, the outdoor clothing and accessories specialist, SuperDry the International Branded Clothing Company , Misguided and Dorothy Perkins the ladies favourite fashion houses. This entry was posted in Competitions on November 19, 2015 by Charlotte Williams. 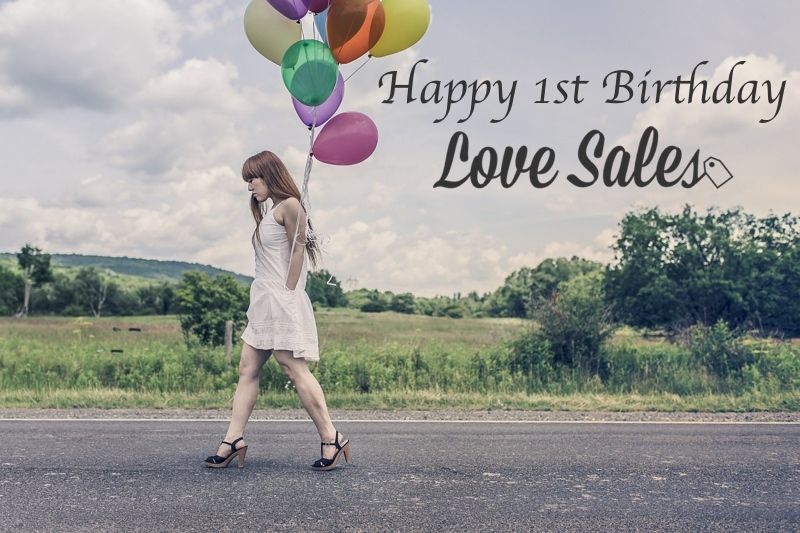 We can’t believe it but it’s LoveSales.com 1st Birthday this month. We are proud to say that In just over one year we have well over one hundred thousand users who are taking advantage of only buying their favourite brands when they are on sale, Why pay more when you can save money across nearly 500 brands? We have saved our customers hundreds of thousand of pounds in just 12 months. To say thank you we want to offer one lucky winner a git voucher of their choice up to the value of £50. This entry was posted in Competitions on May 8, 2015 by Charlotte Williams. Mothers Day is just over week away and we should all be thinking about how to spoil our Mothers rotten. So LoveSales.com have teamed with SpaBreaks.com, the UK’s leading Spa Breaks company to offer you and your mom a pampering Spabreaks.com Selection Spa Day for you each. Each voucher is Worth £59.95 and they are available to redeem at over 75 venues. This entry was posted in Competitions on March 3, 2015 by Charlotte Williams.